It looks like 2018 is going to be the year of denials and that’s exactly as foreboding as it sounds. Becker’s article based on the Advisory Board’s survey revealed that denials written-off as uncollectable, costs the average 350-bed hospital $3.5 million annually; a whopping 90 percent jump from just six years prior. Compounding this challenge is that fact that in the last two years, successful appeals to commercial payors dropped from 56 percent to 45 percent. Things aren’t looking much better for Medicaid, with appeal success rates plummeting 10 points from 51 percent to 41 percent for the same period. Looking for your own analysis, take a deeper look into the survey results. Are hospitals generally improving their revenue cycle processes? Of course, with notable results from POS collections. 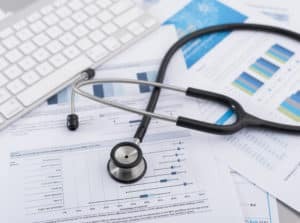 However, those front-end wins could be masking the increasing risks of growing denial write-offs and other inefficiencies for many hospitals. A look at the HME/DME market specifically reveals compounded challenges of varying denial rates. A full 21 percent of claims in this market fell under the eligibility umbrella, with Medicare leading the payer pack. Within that eligibility group, denial reason codes 204 (service/equipment/drug is not covered) and 27 (expenses incurred after coverage terminated) came in as the most common. On top of that, we saw a 2 percent jump in denials for oxygen and supplies from 2016. James Green, National Partner, Consulting at Advisory Board highlights an opportunity for providers in the form of focusing on denials in a dynamic climate. RCM leadership will need to hyper-focus on opportunities for improvement, one of which the survey clearly calls out; the high operational cost of denial functions. Advisory Board emphasizes the growing complexity of the mix of denial and other revenue cycle functions, suggesting they should likely be delegated to the oversight of a vice president. In order for operational improvements to be targeted, a strong analytics approach must be taken to identify, prioritize for, and act on proactive measures. That’s where Access Denial Intelligence comes into play.